Black Friday is the new precursor imprinting a trend into Festive Season Shopping. The retail environment is an exciting ever evolving array of changes with the newest retail sales marvel Black Friday making a growing impression on the South African retail calendar. Black Friday originally an American retail promotion that takes place on the last Friday of November after the American Thanks Giving holiday originated in the 1950s. Many may have a picture of crowds of people waiting with bated breath for stores to open so they can rush in to purchase their must have items at exceptionally discounted prices, with quarrels that may arise between shoppers for last items on shelves. In South Africa, consumers who were still new to the promotion supported many retailers in 2015 Black Friday but 2016 saw growing crowds across shopping centres throughout the country as retailers increased their offering or took part in the promotion for the first time. 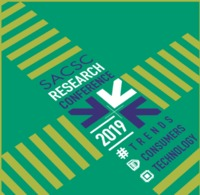 The South African Council of Shopping Centres recently embarked in a research survey with 75 shopping centres pertaining to the Black Friday promotion to establish the growth potential and links of trends across all category offering. Taking a look at shopping centres across the country with a combined GLA of approximately 3.2 million m², from free standing centres under 5000m² to super regional shopping centres over 100 000m².The survey results indicated that an average of 3.2% of tenants participated in Black Friday in 2015 and an average of 21% of tenants participated in Black Friday in 2016 an increase of 17.8 % year on year. Small regional shopping centres which are between 25 000m² to 50 000m² indicated a growth average of 31% year on year when comparing 2015 tenant participants to 2016. In 2016 the Black Friday promotion was dominated by supermarkets and electronic store sales that offered customers deals up to and over 50% off selected in-store items. Electronic stores included Samsung stand-alone stores, Dion Wired, Hifi Corporation and Incredible Connection. Reported in the Shoprite Holdings Ltd online newsroom, the Supermarket chain Checkers upped their sales for the 2016 Black Friday promotion with over 40% more product offering than in 2015, commented Marketing Director Neil Schreuder. The response to the sales was over whelming for many shopping centres with over 71% of the respondent shopping centres reporting that they had the highest influx of footfall year on year with an average increase of up to 13 % in the month of November. The survey illustrated a fashion and apparel offering component that came through both in 2015 and in 2016. Approximately 33% of tenants in regional and super regional shopping centres participated in Black Friday sales in 2016 vs only 4.4% of tenant participants in 2015 indicating a growing trend across all retail categories. More retailers are joining the Black Friday sales promotion year on year. Category offering not limited to food and technology as a clear contribution of Fashion and Apparel, Jewellery and accessories and Home and Décor tenants are also participants in the sales promotion. Regional Shopping centres are offering flat rates on parking and even free parking on the day. With 67% of Shopping centres indicating that they advertised their Black Friday Promotions on their website and Facebook pages a great move would be to like all your favourite shopping centres on their social media pages. Some of your favourite stores took the conservative approach and only advertised in-store and in-centre, keep a look out for great deals on your way to your must have items that you have been eyeing the whole year with 48% advertising contributing to in-store and in-centre communication. Radio and TV promotion advertising will of course be a fantastic tool for sale information.